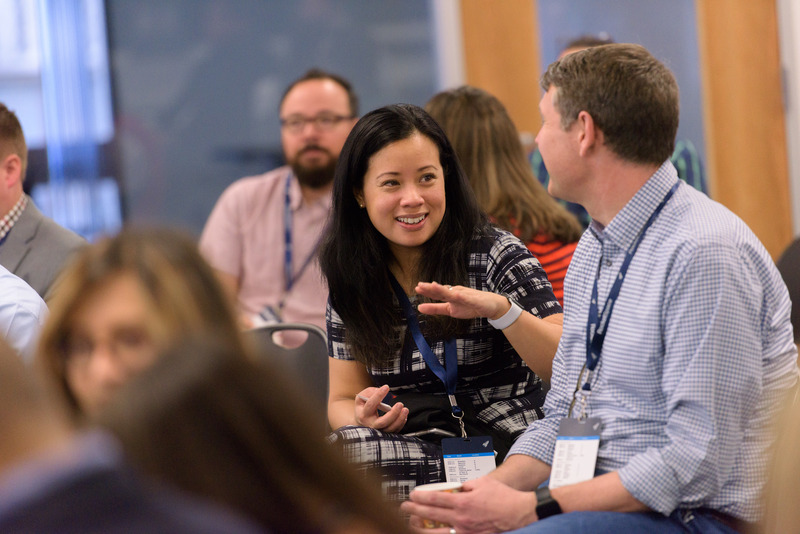 When corporations launch innovation programs through accelerators, startup partnerships, and other internal initiatives, they often encounter some big challenges. For one, innovation isn't intuitive. It's a process that requires a lot of patience and trial and error, which is tough for employees trying to meet their everyday quotas and performance milestones. Employees working hard to do a good job and get things right will hold themselves to high standards. When trying to innovate, perfection tends to surface as the enemy to progress—people are afraid to take risks and teams struggle to get things done. On the surface, these challenges may appear to be signs of failed initiatives, but they're a natural part of the corporate innovation process—a new way of doing business that might feel clunky for your organization. Unlike a small startup that can operate with a handful of people, corporations are more complex and typically less agile. In many ways, corporate innovation efforts can feel like a distraction to a company's core mission and focus. That's why Kaleido Ideas & Logistics, a global logistics operator with offices in Spain, Portugal, Angola, South Africa, China and India, decided to launch an accelerator through an open innovation model in partnership with RocketSpace and other corporations, such as Lufthansa Cargo. “We are highly specialized around our own R&D and have no idea about how to manage or run an accelerator properly," says Kaleido CEO Xoán Martínez. "We knew that trying to launch a program on our own would potentially involve a steep learning curve, wasted resources, and failure as a result. 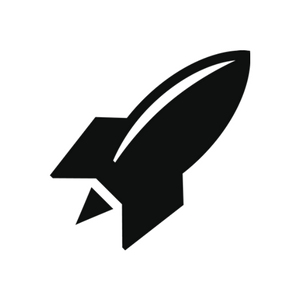 We identified RocketSpace as an ideal partner that could help us save a lot of time, avoid potential waste, and ensure that our efforts remain focused." By embracing open innovation, Kaleido is able to bring initiatives to market, faster. “It's not about funding or even taking equity," says Martínez. “What we need and what RocketSpace gives us is the ability to stay close to our market, so we can find the most cutting-edge tech solutions related to transportation and logistics." Corporate innovation teams are often chasing big goals. But climbing to the summit of a mountain is never easy and success often comes from a series of micro-decisions and small steps. Given this dynamic, company leaders need to assess progress based on experimentation, milestones, and progress. Michele McConomy, SVP + GM of Corporate Innovation Services at RocketSpace, compares this process to playing dominoes. “The results of innovation are, in many ways, a domino effect. They start small to get through the stuff that usually holds these initiatives up on a big-picture level. Then, initiatives start paying off, and there's a chain reaction." She further encourages corporations to start small with innovation, "in an isolated place." As results begin to prove successful, start deploying initiatives throughout the organization. Move forward from failures quickly to identify what sticks. Choose non-revenue metrics as a measure of progress. 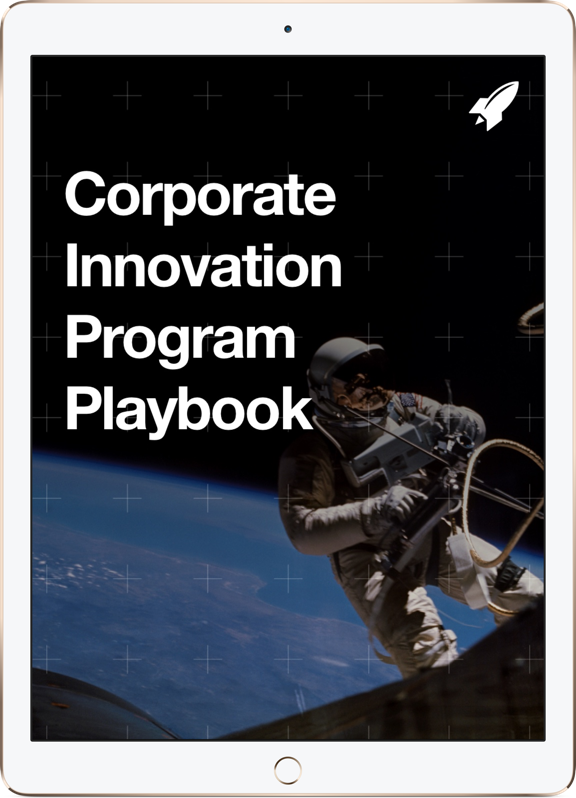 When you're running corporate innovation initiatives, you're under pressure to be first-to-market with new products for your customers, or to be the first in your industry to discover new operational efficiencies. Such milestones are huge—and sometimes, when you spend too much time focusing on big objectives, you'll develop a sense of tunnel vision. That's why it's important to work with partners who can help you deliver insights, freeing up time to run experiments. As an example of a company that is streamlining the path to industry innovation, take a look at Rabobank. The world's leading financial services provider for the food and agriculture sector partnered with RocketSpace to launch an accelerator with the aim of helping its customer base of both large, multinational companies and startups build the future of food together. "We work with big companies to help them gain insight on what's new in the market and what resources may be available to drive their growth. We also work with emerging companies to help them scale. These are two sides to an important equation,"
says Miguel Gonzalez, Rabobank's head of corporate clients for the West Coast. By working with many different startups, Rabobank is able to help its corporate partners test ideas on a smaller scale before deploying them in full. With corporate innovation, success will follow a separate timeline from the rest of your organization. Operationalize progress as a series of small steps rather than big wins. Success will add up. Ready to take the next step but don't know where to start? Let us help you! We help bridge the innovation gap between startups and corporates. Learn more about our work with Corporates.